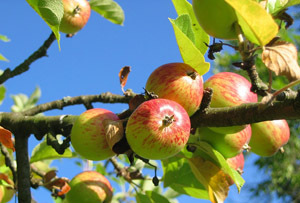 Apple's branching out, the Co-op Bank's big ban, supermarkets fight back. 1. Apple Music is eating into Spotify's market share – picking up 10m users by the end of 2015. 2. The Co-op Bank might have got away with just a tongue-lashing last year, but two of its head honchos weren’t so lucky. 4. ...especially Morrisons, which looks to be in the most precarious position of the Big Four. 5. Investors are feeling spooked about the state of the car industry. 6. The PC might be low on battery, but it’s not been condemned to the scrap heap just yet. 7. BT’s takeover of mobile network EE has finally been given the green light. 8. Toyota’s CEO has caused some confusion over what a Brexit might mean for foreign firms. 9. London’s falling out of favour as a hot prospect for property investors. 10. Skyscanner has really spread its wings – it's just become the UK's latest unicorn.